Released on: AOR Heaven. Release date: Available now. 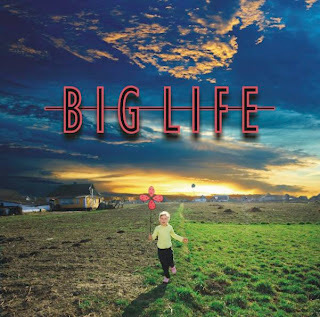 This new project, Big Life is a joint venture and brainchild of two much respected players in the melodic rock field, from the south of England. Vocalist Mark Thompson-Smith, I recall as far back as the mid to late 80’s doing the rounds in southern England in bands such as Touché and Fay Wray. Fay Wray reformed (Or maybe just came back from a hiatus?!) a few years back and Mark still sometimes works that baby on the side. Mark also has some history with a few bands that I know many people will be aware of in The Sweet, Praying Mantis and Idol Rich to name a few, as well as his respected solo release, ‘A Far Cry From New Jersey,’ that sadly that I’ve never heard. Steve Newman has in the past few years enjoyed a lot of attention in his own band Newman, playing recognized UK favorite festivals such as the annual Firefest and Z Rock event, to great responses. Newman have also released eight studio albums, plus the expanded ‘Decade (The Very Best of Newman)’ which included many unreleased ‘new’ tracks and alternative versions. Steve has also helped Engineer, Produce, Mix and Mastered a variety of other work too, not to mention co-writing material with Anders Rydholm (Grand Illusion), helping out on the Frozen Rain project, Steve Overland's (FM) solo album, Frederic Slama's AOR Project. "Journey To LA" and the ARFM radio / Firefest benefit CD "The Undying Fire." just to name a few side projects. On this album Mark handles all lead vocals, with Steve backing him up playing everything, bar the drums, which are ably handled by longtime Newman drummer Rob McEwen. The album opens with ‘Dying Day’ which kicks in, in an almost Newman style, but with Mark on vocals, it adds a new dimension, it rocks in great melodic style with an urgency but with so much sound. Great start guys! ‘Close To You,’ is next and Mark’s voice takes a slightly different direction, but still keeps thing rocking in great fashion. The thing for me about the Big Life project, that's perhaps a little different from Newman, is the keyboards have better presence, which really works great with this material. As always, Steve’s guitar playing seems to go from strength to strength, it really does and here, there’s almost a (Steve) Vai edge to the main solo, who I know has always been a huge influence on Mr. Newman. My comment on the keyboards presence is elaborated by the intro to ‘Better Man’ next and the funky bass line at the starts serves the intro well. The song grows from atmospherics to something much bigger, initially indicating perhaps a power ballad, but then wham! An up tempo pop rocking edge kicks in and yet another very strong hook laden song is launched! Some really nice layering throughout the track just makes this glow a treat! ‘Calling Me’ starts with an exotic intro, soon followed by huge power chords and an almost dare I say, Led Zeppelin type riff, and the song gets underway proper, with a laid back start to each verse, which then picks up for each pre-chorus and the chorus itself is great and that riff is so haunting! I must say, that the combination of both main players is great and AOR Heaven, should be very happy with this release, as the album continues it has class written all over it. OK, are you ready for a change of pace? Let’s face it, if you know Newman’s work, he never disappoints when he takes things down a bit and Mark sings ‘I’ll Still Be Here’ very well indeed. A very easy going and easy listening track indeed. With ‘Feel Alive’ the track does exactly what it’s title suggests and picks things up again with some interesting tempo changes from Rob McEwen. Nice one again guys. Easing things back again ‘Deep Water’ is a really special track if you ask me, starting as a beautifully sung emotional ballad, it picks up for a brief power driven bridged chorus, before easing back for Steve’s haunting first solo and then doing the same again, by easing back and growing again with another tasty extended solo in this almost seven minute piece. Nice layering guys. ‘At The End Of My Rainbow’ is another one of those tracks with so much to it, taking you up and bringing things down again that you’ll be lapping it up and another great writers mark is that the choruses grab you again and again. It’s almost Bon Jovi ballad territory at times in ‘Leaves’ next, which is nicely done power ballad stuff again and ‘Stop In Time’ does the same thing too. 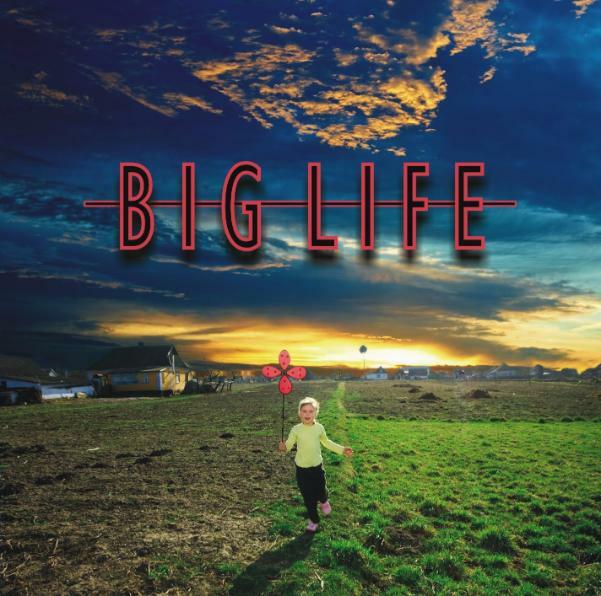 If radio stations were behind playing big old power ballads again, Big Life could very likely find themselves getting a lot of attention. It’s back to the rock again with ‘Takin’ Me Down’ and it really shows how capable these guys are in mixing some great rock material with classy rock ballads. Some interesting phrasing of the vocals in the choruses, keeps the variety here. Last official album track is another ballad with ‘Nothing Without You’ that’s very acoustically driven. There’s a hidden bonus track too, which rocks with a great US style for sure and since it’s not listed I’m guessing it’s possibly titled ‘Special Relationship,’ eased back verses generally that then lead into up tempo pre and main chorus. I’ve really enjoyed playing this album, again and again, sure there’s a lot of ballad material but there is rock too and if you liked these guys stuff before, then you for sure, you’re gonna love this one too! Hopefully with a Big Life ahead!